The realistic visualisation guarantees an easy operation. Visualisation is fully graphic and vector orientated. Realistic presentation of the system in 3D enables intuitive handling. By clicking on the units, the measured value or the required part of the system, you get more details containing all the corresponding information. Enjoy visualisation on PCs, multiscreen, touch and multitouch appliances. The entire system and units are presented identically on all appliances. Everything at a glance. Everything operable. Everything under control. 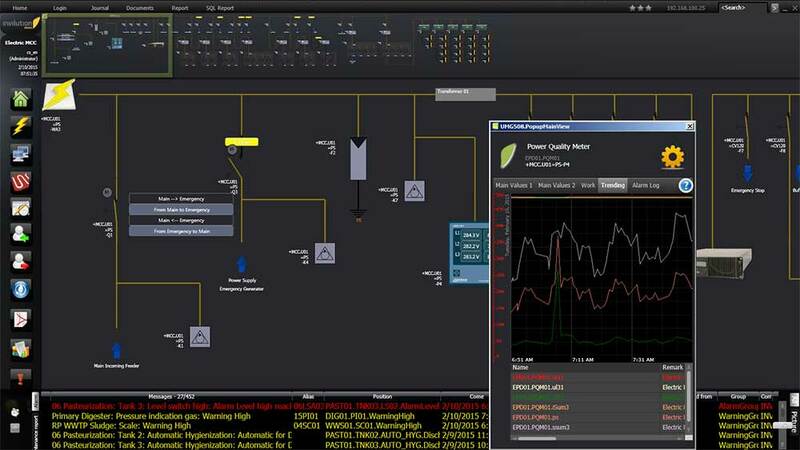 Because of the general survey in the upper part of the visualisation, the user maintains the overview of the plant. The general survey enables the availability of all relevant information non-stop. How? Status symbols and coloured parts in the upper bar show the current status of the single aggregates. When a problem occurs, the user is able to react fast and effortlessly directly via monitor, where all aggregates are controlled. The scroll-function and the graphic detail-view simplify the system functions. Observe your network and intervene quickly. 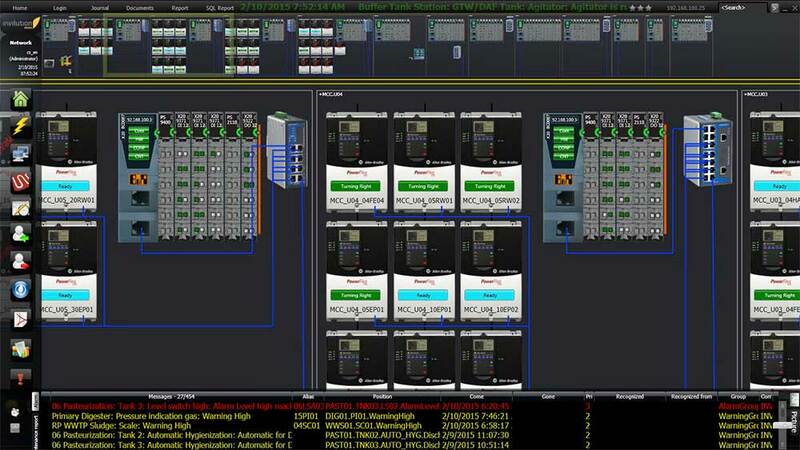 The system also includes a network overview analogous to the plant overview. 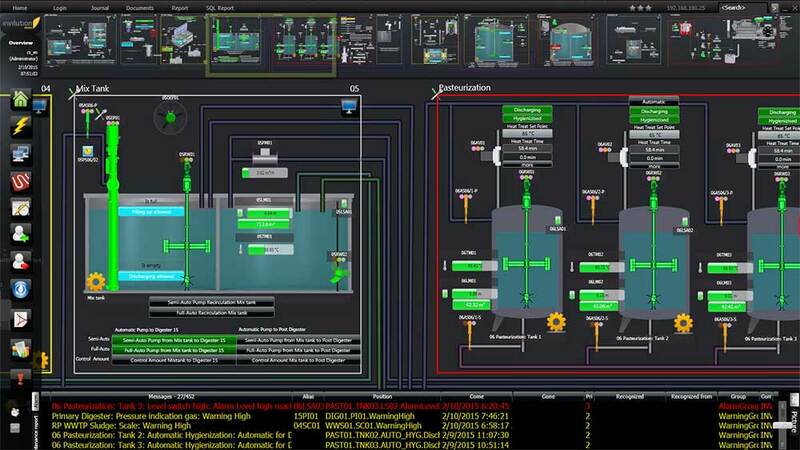 Of course the user experiences the same easy and clear structured operation as in the plant overview. Additionally, the current status of all components is shown and can be watched separately at the input and output cards. For verification of the hardware and its components, ınvılutıon makes it possible to access the current status as well as the circuit diagram. Collecting information is therefore as fast and comfortable as possible. Enjoy the advantages of our system! This overview also includes a scroll bar in the upper part of the monitor and offers the same assets as the network overview. In this overview the electric status of the plant is shown as well as all values concerning the electric supply. To simplify the electric overview, every single component and its network is shown in a diagram.